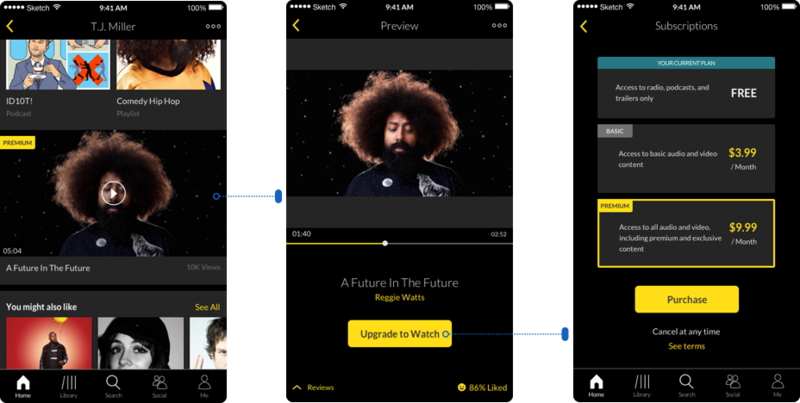 Laughly is a comedy-streaming app. 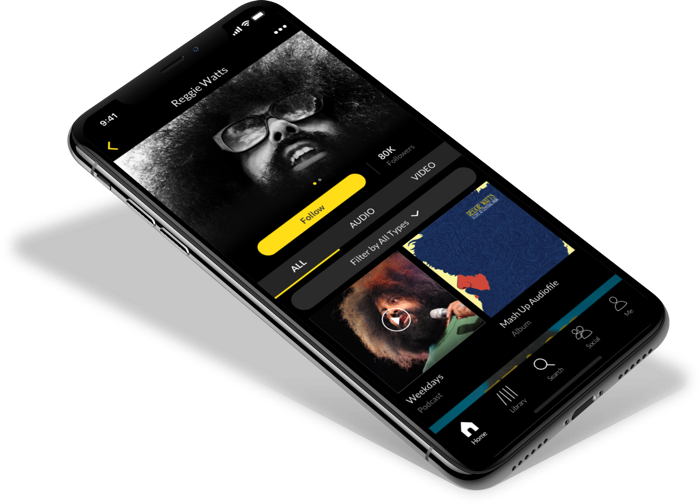 Not unlike Spotify, users can follow and listen to their favorite artists. It also provides comedians a direct channel to their audiences, giving them the opportunity to curate and add content direct on to their pages. 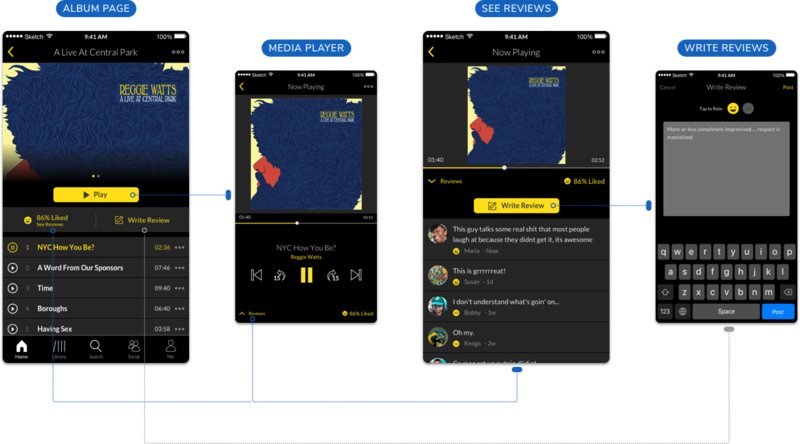 The platform currently solely features audio content and is looking to expand its offering to include video content. I took part in designing the new audio/video interface with a design team of 6. 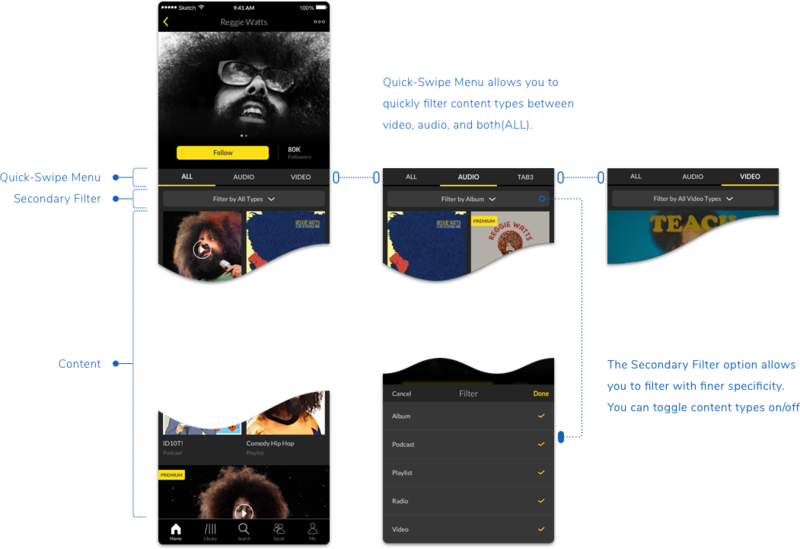 I took on low- and high-fidelity prototyping, and led the team through series of validations. Our user interviews showed most people listen to audio content while multitasking, e.g., driving, washing dishes, other house chores, etc. On the other hand video content requires users' full engagement, and in many cases people watch videos while they're waiting in airports, doctors's offices, or in their free time at home. Due to these differences in engagement, some user requested that we make the transition of filtering between content types, video and audio, as easy as possible. In the Channel Page we designed a 3-tab menu that allows users to switch between video and audio content quickly. Laughly is looking for ways to build stronger on its platform and encourage users and artists to interact with one another. After our research and competitive analysis, we thought implementing a comments/review section would be an obvious first step. People could share their reactions; moreover, this is also a good place to leave their "likes" to rate the content. This would promote popular material and build user-preference profile. In this 3-tier subscription, each artist would organize their own contents in which of them falls in premium, basic, and free. This asks artists to invest effort in curating an experience and maximize earning through this effort. And in turn, this makes Laughly an ideal platform for artists.